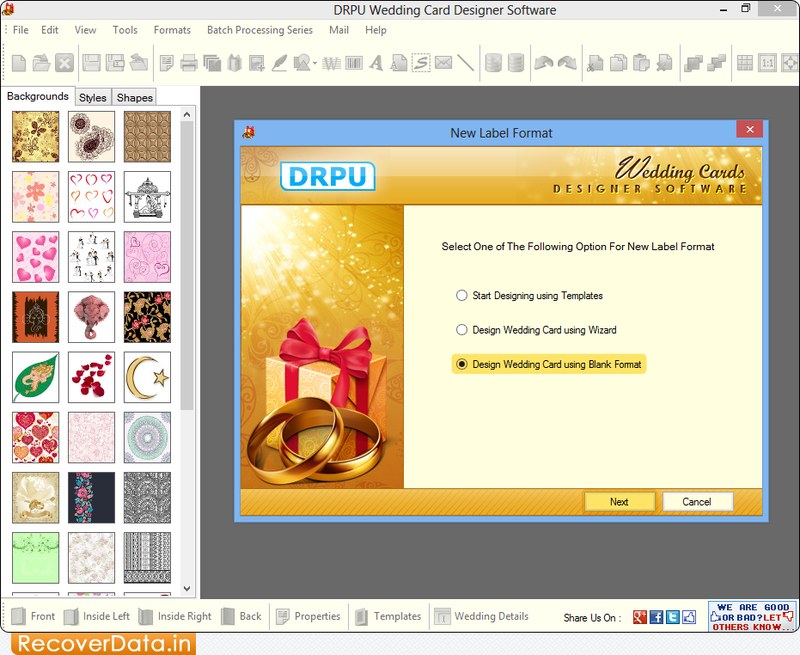 For New Label Format, select any one of the following options. 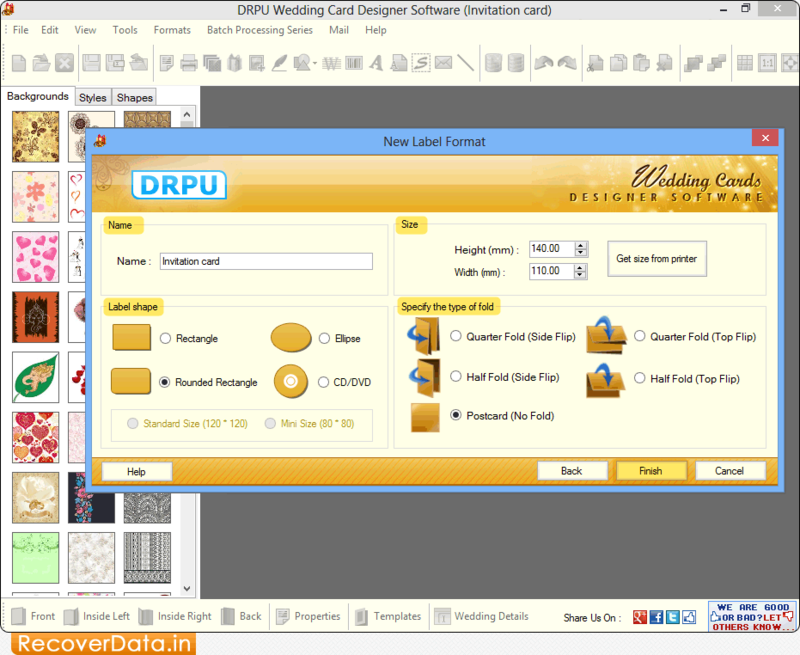 Specify Card Name, Label Shape, Size and Type of fold as per your needs. 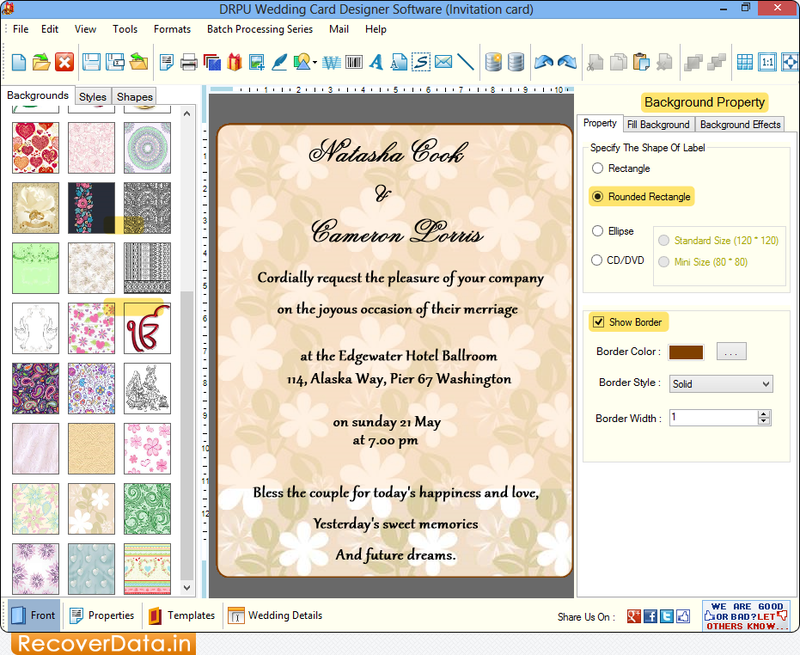 Specify the shape of label and adjust border using Background Property. 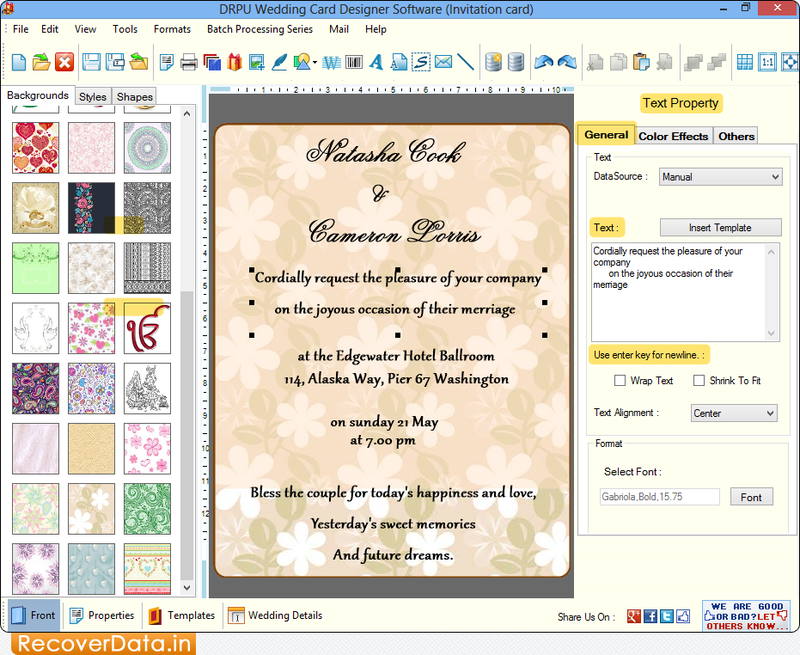 Add text on the card using Text Property.